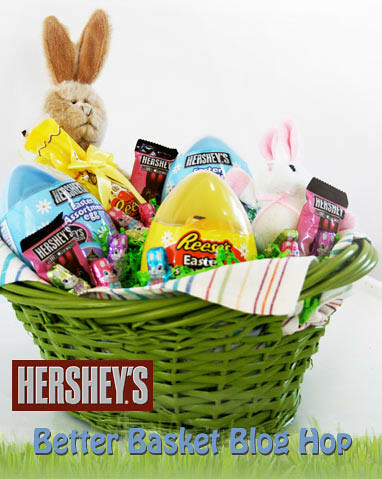 You are here: Home / Everyday Posts / Give Back With Hershey’s #BetterBasket! Give Back With Hershey’s #BetterBasket! Welcome to my post for the Hershey’s #BetterBasket Blog Hop! I’m writing this post to help raise money for The Children’s Miracle Network and to spread the word about paying it forward! Earlier this week, I was able to participate in the Hershey’s Better Basket campaign and give the baskets to a family in my community that could use them. Now Hershey is allowing YOU to give back too! Hershey’s will donate $10 for every blog that participates in the Hershey’s Better Basket Blog Hop! I am passing on a virtual Hershey’s Better Basket to my closest group of bloggy friends in hopes that they will jump on board and post too! Cheryl at The Budge Bunch, Michele at Scraps of My Geek Life, Fiona at Bantering Blonde, Karrie at Momma ‘Tudes, Carissa at My Everyday Miracles, Jen at A Busy Mommy and Jen Hinton at Keep It Classy. Friends… Readers… Bloggers… Take a look at the rules below. Create a post and pass on a virtual basket to your friends and be sure to link it to the meme! * Link back to person who gave you an Easter Basket. * Leave your link at http://betterbasket.info/bloghop where you can also find the official rules of this #betterbasket blog hop and more information about Better Basket with Hershey’s. * Hershey’s is donating 10$ per each blog participating to the Better Basket BlogHop to Children’s Miracle Network (up to total of $5,000 by blog posts written by April 4th, 2010). Wow! Kudos to Hersheys! What a great way to donate and spread the love all at the same time! I"ll have my post up for Monday!! Ok my post will be live in a few! THANKS for the basket! FUN! I'm giving away baskets for tomorrow' post! Great cause!I love that you got to participate by giving a real basket out!